Analyze Wireless network Trends with AirPCap Adapters and Cascade Pilot. Combine and extend your monitoring coverage by deploying AirPCap Adapters on Workstations and key remote segments of your WLAN Network. 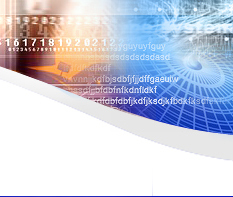 CKEY Networks Wireless product lines address the cellular markets for testing all technologies including CDMA, WCDMA (UMTS), GSM/GPRS, EDGE and WLAN Markets. 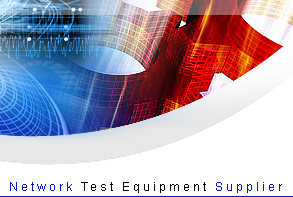 We offer a full suite of testing products for the carriers, enterprise networks deployment and maintenance, manufacturers and research and development labs for a broad range of applications. We welcome calls from suppliers and referrals from customers. Anyone that needs and/or uses easy to deploy, innovative and cost effective tools, network transmission and testing equipment should call. We like to find suppliers that offer unique, high value niche products that helps saves operating expenses and reduces complexity for the job. This usually equates to increased revenues within your organization. 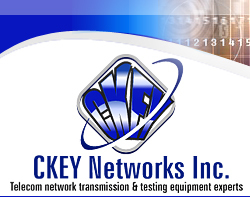 Key staff members at CKEY Networks have sold and used Wireless equipment from leading suppliers like Anritsu, Agilent, WaveTek, WWG, and Wiltron. We are experienced in testing of cellular, point to point broadband connections and central office locations to the LAN/WAN/ATM and Fiber network terminating equipment. MetaGeek develops the award winning line of Wi-Spy spectrum analyzer tools that enable you to make Wi-Fi work the way it's supposed to. Perfect for IT professionals who need to optimize their 802.11 a/b/g/n network, Wi-Spy takes the guesswork out of troubleshooting by graphically displaying the RF interference occurring in the airwaves. Starting in 2002 with fiber optic testers, ShinewayTech has become one of the fastest growing companies in global FOTE industry and is expanding product portfolio to RF and IP testing fields. ShinewayTech sales covered more than 70 countries and dominated China OTDR market from 2009.